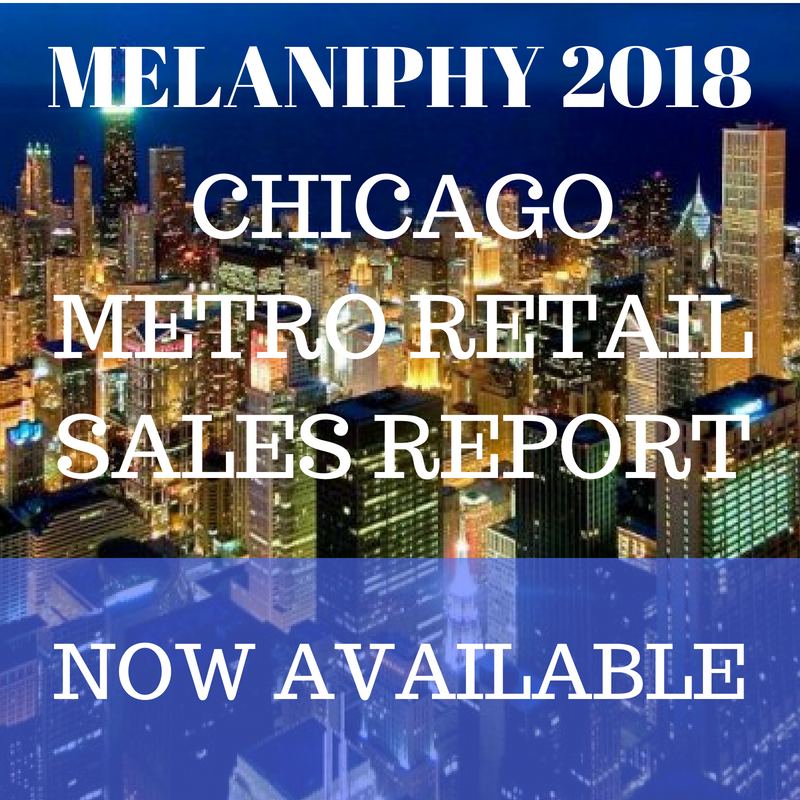 CAPITALIZING ON YOUR LOCAL MARKET | MELANIPHY & ASSOCIATES, INC. I just got off the phone with a women's specialty retailer who has a serious problem. Her store is located, not only in the wrong neighborhood, but also in the wrong type of shopping center. Her sales have never reached their expectation, nor will they. Unfortunately, she is probably not going to make it. In her case, the time to address this issue occurred prior to opening the store. For others, the time is now! Most retailers are experiencing the doldrums of the economy, too many retail stores and a value-oriented consumer. "If it ain't on sales, nobody buys it." Perhaps, some of the suggestions in this article can help to better define your market. Many analytical steps are required to fully identify a market opportunity. However, there are three steps directly related to your local market and customer. The first step is a clear understanding of one's Customer Profile. A new entrant to the women's specialty apparel business must decide his or her target customer, and be correct. The second step is to gather the actual market demographics. The third step is to compare your customer profile to the market characteristics and evaluate how well they fit. The better that they match (given reasonable competition, adequate women's wear expenditures, a strong retail concentration and acceptable access), the greater the opportunity for success. This is a simplistic description of a usually complicated process. Yet, a little understanding of one's customer profile and local market is geometrically better than raw intuition. Here is a suggested process for determining one's customer profile, local market demographics and economic trends. Every retailer needs to know his or her customer, and more importantly, who is the most frequent customer. Many retailers think that they know, but usually they do not. How can you find out who your customers are? Ask them! The questions and procedure for asking them are simple. Interview the customers when they are leaving the shop. It would be better if someone other than the owner conducted the survey. However, if it is too costly, then hand the customers a questionnaire and ask them to fill it out before they leave the shop. Provide a table and chair for this purpose. This should be requested of any potential customer who comes into the shop, regardless of whether they make a purchase. Also, have a questionnaire form with the questions clearly stated and space under each question for recording an answer. A. What do you usually shop for in this store? B. How often do you visit this store? C. How often do you shop at ladies specialty stores? D. What other women's stores do you shop at regularly? E How much did you spend here today? F. What is your primary reason for shopping here today? H. In which department stores do you make most of your purchases? I. In which shopping centers do you shop most often for women's apparel? J. What can we do to encourage you to shop here more often? L. What is the total income of all adult working members of your household? M. Is there any reason why you did not make a purchase today? Naturally, if you are located downtown, some of the verbiage needs to be modified to reflect downtown versus shopping centers. If you really get into it, additional questions can be asked regarding advertising awareness, fashion versus quality and many others. Tabulating the results can be done by using a large columnar sheet and recording hash-marks for each response. Some may wish to use a computer. Numerous inexpensive programs are available for between four and ten dollars from public software libraries such as PsL in Houston, Texas and The PC- Sig Library in California. Next, analyze the results. What do you see? Where do your customers live and what is your trade area? Are the majority of customers visiting your store, browsing and buying elsewhere? Why? Also, what is the income and age of your customers? Are you surprised at all? Study the results and develop your customer profile. Now you have some "tools" with which to apply to the market area. Your local chamber exists to inform interested individuals regarding the community. The individual in charge usually has considerable insight into the community, where things are happening, market area characteristics, market segmentation, household income, retail store concentrations, retail sales, woman's apparel sales, number of retail establishments, directional growth patterns, economic trends and other pertinent items. One of the better sources is the local planning agency. Since their primary responsibility is to plan the community, they must collect and analyze local population characteristics, growth patterns, street and highway needs, income, retail concentrations, shopping patterns, industrial parks, employment, wage rates, taxes, economic trends, and other important market components. Furthermore, they should be able to direct you to other sources. They should have the 1990 preliminary population census data. Moreover, they should be able to assist you regarding your market area data. service companies such as: Urban Decisions Systems, Equifax- National Decision Systems, CACI, National Planning Data Corp., and R. R. Donnelley. You may have been provided data from one of these firms from a shopping center leasing agent. Usually they provide current population, age structure, household income and other data by mile radii or some other trade area configuration. They also usually provide a forecast for three years. The 1987 Census of Business (prepared every five years) provides retail sales expenditures for cities, counties and states. One of the categories is Apparel sales. For larger cities, the data is provided for Women's Apparel and Accessories sales. The data is available for individual states from either a United States Department of Commerce field office (located in most major cities) or from the Department in Washington, D.C. Also, your local central library should have it. You need only to copy the pages pertaining to apparel sales. This data indicates the number of establishments and apparel sales dollars. If you divide it by the 1987 population for the city, you will have a per capita figure which can be applied to your market area to determine the potential for which you are competing. Compare your customer profile data to your local market data. How do they compare? How many women are in the compatible age categories? How does the household income match? Is your market area expanding or stabilizing? What does the information tell you. It may say that you are located in the right market area, but need to penetrate it better. Conversely, it may indicate that your store is in the wrong location. While you may not be able to do anything about it until the lease is up, you can begin to plan a move to a better area as indicated by your research. A word of caution! Do not rely upon a shopping center leasing agent's opinion regarding demographics or market potential. Their job is to lease space, not to analyze markets. Instead, take the time to truly evaluate the demographics yourself. The results will be beneficial to both the market and marketing decisions.